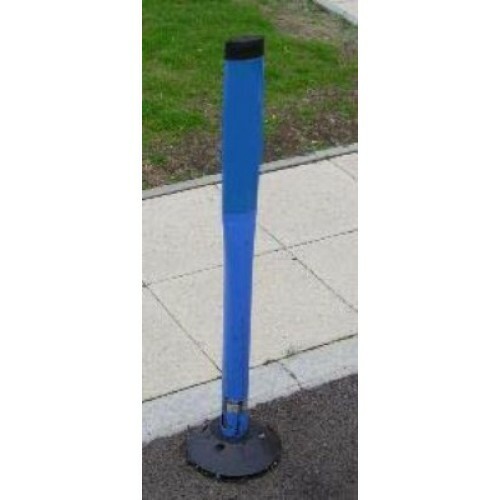 36" height blue Safehit post with black cap. Choice of two types of base. Base is deigned for attaching to the surface or bolting down. Designed to withstand repeated impact and reform / return to upright. If you require a different colour and/or different reflective stripes, please contact the customer service team on 01604 438188.